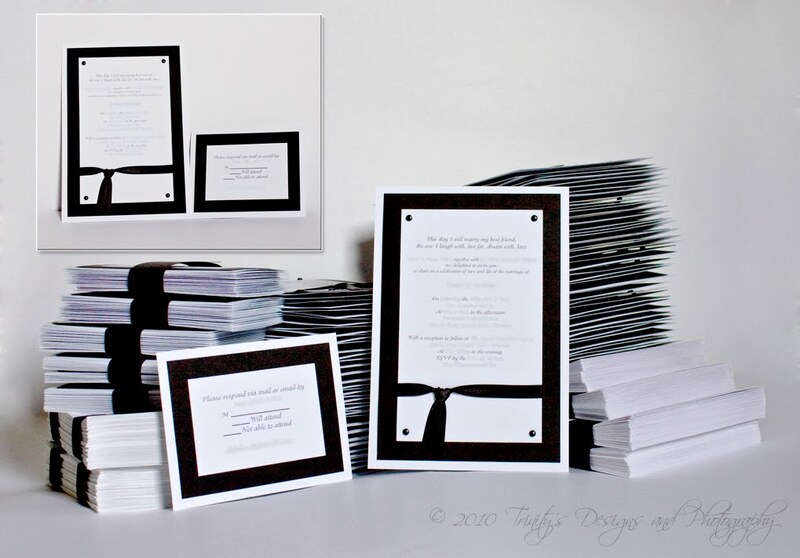 Trinity's Designs is a home-based business that started with digital images for announcements, cards, and invitations. 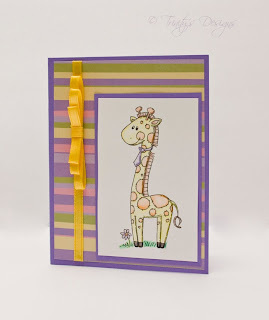 We have since grown to include hand crafted cards as well. Each card is individually made with the upmost care. 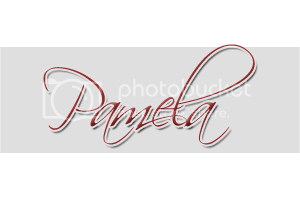 We also offer a wide range of Photography for your every need. While I was sitting down watching Jeopardy and waiting for the Finale of The Next Great Baker to come on, I realized "this would be a good time to send out a nice little update". So, here I am. I've been updating my website all day and now have a Hairbow Album under the Product Gallery. I have yet to update all the detail information about the bows but that can all be found on my facebook group for the time being. Wow, I have a lot of links in there. I took part in a craft fair this past November and it was a success. My hairbows were a hit and am now making and selling them from home and I have a few over to the local Craft Store Lisa's Craft Expressions. Here are a few pictures of some bows that I have done. 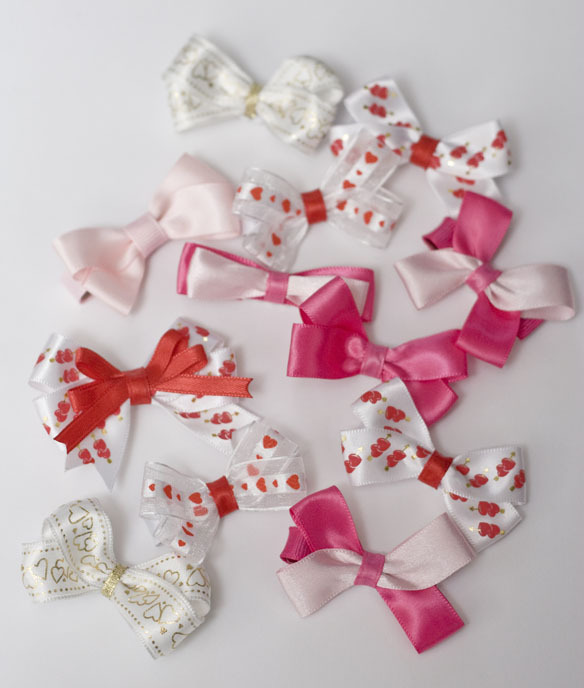 I will be having a little contest on facebook in the next week to win a pair of these hair bows. I'm pretty excited to see who wins. Right now I am organizing all my ribbons. (didn't realize I had so many, shhh, don't tell my husband...lol) And will be working on some spring bows in the upcoming weeks. 5 ½” x 8” 3 layer vertical invitation with a ½” satin ribbon and 4 5mm brads in each corner; and a 4” x 5” reply card. and a 4” x 5” reply card. and a 3 ½” x 4 ½” reply card. 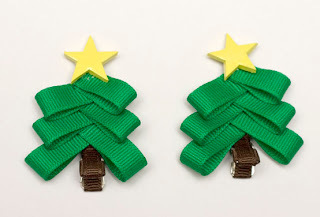 Quilling is a beautiful art that has lost it's way. I love designing these flowers and other embellishments from paper quilling. I am now also designing paper quilled scrapbooking embellishments. 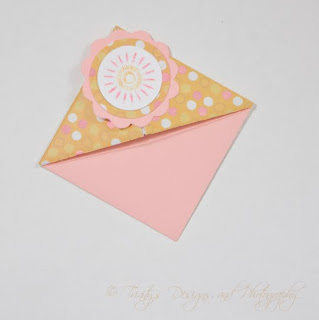 This beatuiful bookmark is made from pink 80lbs paper and polka dot patterned paper from K & Company. The stamped image is a sun, coloured using markers. 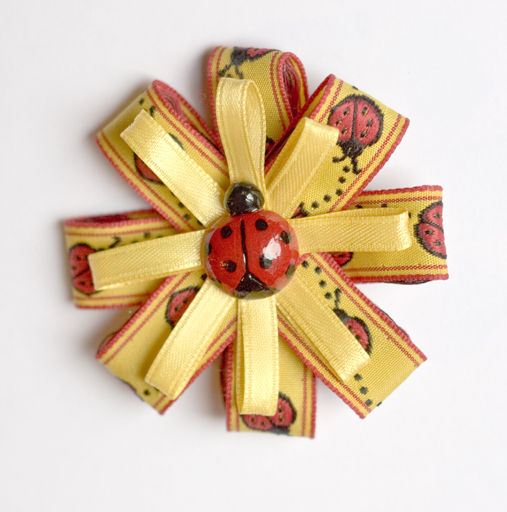 This bookmark is currently available. What a great Mother's Day Gift to go with a coordinating card. Email me for details. Wedding Invitation Set Anna is a 5.5"x 8" 2 layer invitation with Tulle wrap. Set includes matching 4"x 5" Reply card and Standard white envelopes. The double heart is a stamped image which is available for any invitation set as long as it fits the size. 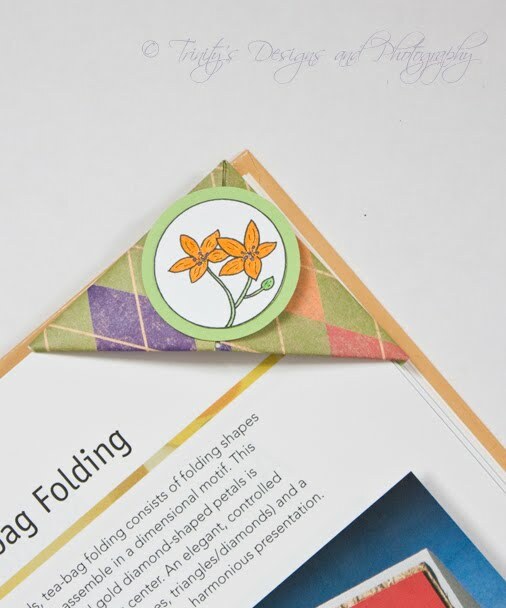 Here is a cute little corner bookmark. 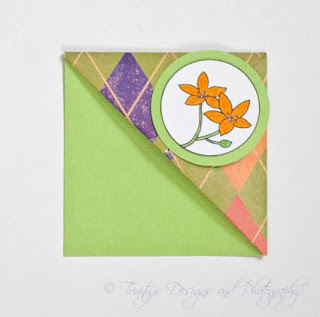 The green cardstock is textured layered with patterned paper. The flower image is a free image from the internet. 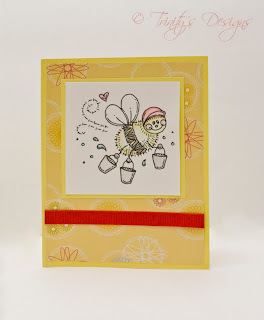 I love working with free coloring images as well as digital stamps. Here you can see the bookmark in action. You just need to slip it over a few pages for it to stay in place. These bookmarks are great for gifts and you can request a matching card to go with it. I have a bunch made and will post more pictures over the next few weeks. 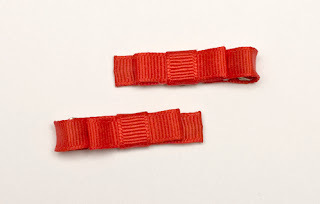 Look for these and regular bookmarks as well. Another 120 invitations completed. This is my "Grace" invitation. 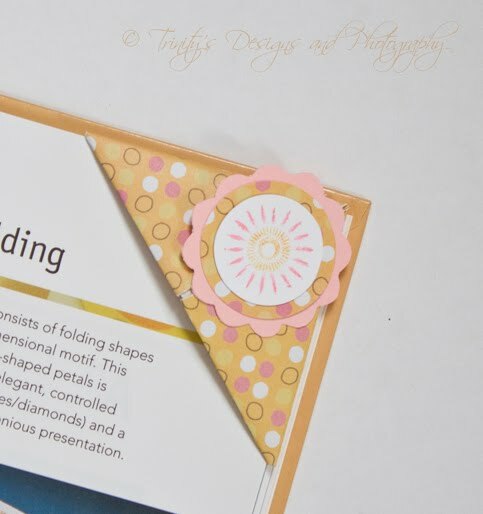 A beautiful invitation made of 3 layers. 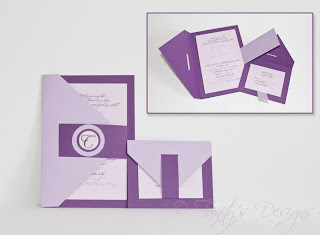 The verse is printed in Eggplant purple to compliment the clients accent colours. Personal information is blurred out for the clients respect. Again I would like to thank the Bride and Groom for choosing Trinity's Designs. All the best in your future together. I am now working on new samples for my 2011/2012 catalogue. Look for more pictures soon on my website. Here are a few more cards I made using Meljen's Designs. Her images are super cute and I love working with them. Her Design Team should be chosen today. I can't wait to see who she has chosen. 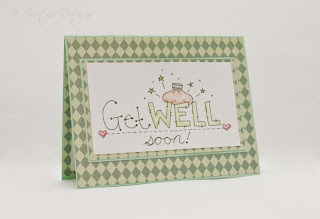 I found Meljen's Designs on Splitcoaststampers. I absolutely love her cute little designs. 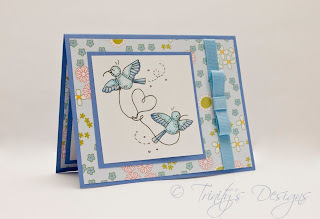 Here are 2 cards I've completed from her Freebie section. I'll be sure I make a purchase soon!!!! Meljen's Designs are now looking for a Design Team. Read all about it here. I finished up this order a few weeks ago and wanted to wait until the client received them before I made this post. This order was for 120 "Madison" Invitations. Personal information is blurred out for the clients respect. This wasn't a particluar easy order. It involved cutting 360 circles just for the front monogram. Each invitation has an envelope flap and belt buckle enclosure. This set is made of WorldWin's Doublemates paper in Lovely Lilac. This beautiful paper is a 90lb textured stock that is a light shade on one side and darker on the other. The inside is a 80lb light Lavender Colormates. I hope the client is very happy with her order. I'd like to Thank the Bride and Groom for having me be apart of their special day. All the best to both of you. 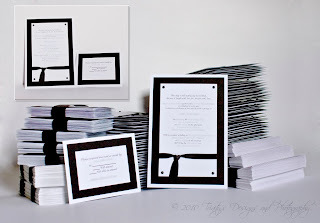 Now I am working on another invitation order and am waiting for some supplies. White I'm waiting I am getting the basic printing and cutting done. Look for another post soon.